This is my favorite board game which I tend to play the most. The goal of Istanbul is not to have the most victory points but be first to collect five rubies or 6 in two players. To do that player must move their merchants represented by a stack of wooden discs, and every time they move they leave one disc behind or if there is already one of their disc there they pick it up. The point is not to run of discs because you cannot do any actions when you do. The actions you can do are basically fill up goods on your wheelbarrow or sell them for rubies and money, to spice up the game there are also bonus cards, persons of interest which you can encounter and other chance actions which make the game more interesting and unpredictable. The second expansion of it Mocha and Baksheesh makes the game even more unpredictable, by introducing new cards called guild cards and another resource coffee which you can use again to buy rubies, new power-ups, and tons of other stuff too. 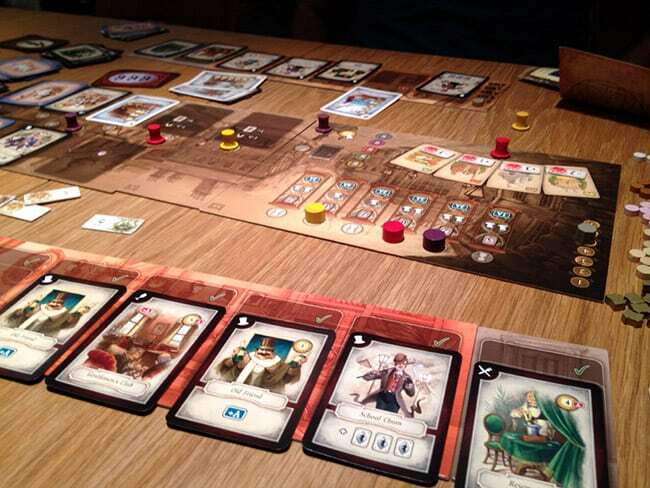 But wait this is not all, This month Istanbul comes with a new expansion called Brief & Siegel. 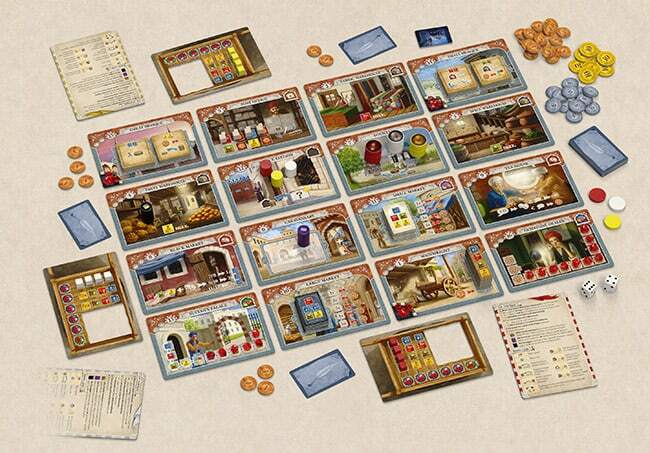 I cannot write much about this expansion since I don’t have it yes However from what I can see in the pictures that were posted on boardgame geek There will be Seal collection which is another resource for the game basically similar to coffee, and the new tiles will allow much more interaction between the players in form of auctions and another type of similar competition. Istanbul also has one mini-expansion KebapShop, which is basically one tile replacing the main tile the fountain. This is my second favorite game. Last will is the opposite of victory points collection games. In here you are trying to get rid of you victory points basically. The game is structured in this way: All the players inherit the same sum of money from their uncle and the first one that spends it all will be the winner. If more players spend their money than the one who has the largest debt is the winner. This is most unusual game because in a way you are required to make bad decisions to waste money unlike in the other games in which you are trying to find the least costly option. But spending money is not an easy thing to do. Luckily you have three main ways to do that. Helpers and services, buying properties and planning trips and excursions. Off course, you can boost your money burning abilities by taking your favorite companions with you, which include: Your dog, your horse, Personal chef, or a lady friend 😉 This game also has an expansion which is called getting sacked, and it contains new cards and introduces a new element. Now instead of losing all the money you also need to get sacked. Until you do, you are gaining money each turn. This game is awesome, and it would be my first favorite game if it had easier Gameplay mechanics. The fact that you must control two neutral players when you play two players game bugs me. Each time I setup the game I have to look up the rules of how to play the neutral players. However everything else the artwork the dungeon building is top notch. Wow, that was a lot! 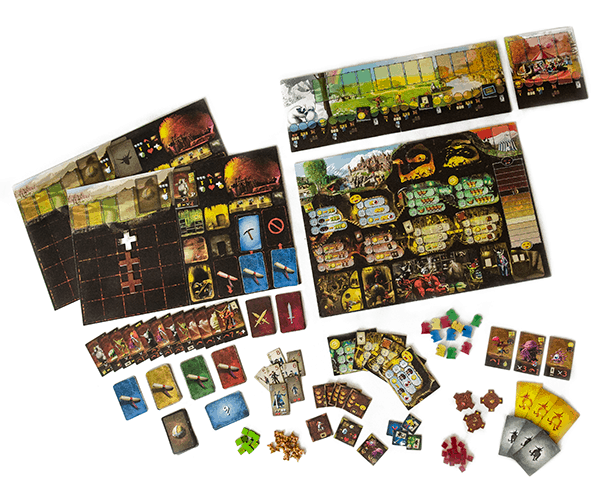 Dungeon Lords is a game in which you assume the role of a Dungeon Lord and are trying to build your dungeon in the best way you can to stave off the pesky adventurers who would like to destroy you. To do that you have a full year or should I say the game is divided into four seasons in which you can send your three minions to do your bidding. You need to gather resources like food, gold, imps and use them to recruit monsters and set up traps which will help you in the battle against the adventurers. 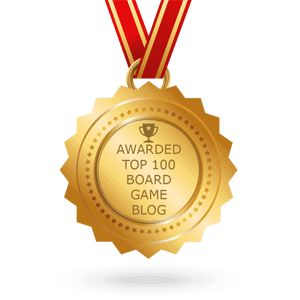 The player with the most points wins the game and gets his Dungeon Building diploma. Points are collected from many different actions during the game the main way being some adventurers in your dungeon, and another way is having unique titles: like tunnel lord, Room Lord, battle Lord, Dark Lord, which you gain by achieving different things in the game.